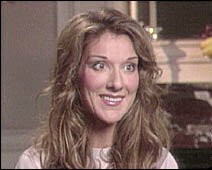 Florida() After years of effort, combining the best in modern audio technology with a little good old fashioned faith, talentless Canadian siren Celine Dion gave birth to a song in a Florida hospital last Thursday. Proud husband Rene Angelil was present as he has been for all of Ms. Dion's milestones from her first permanent tooth, to her worldwide mega hit My Heart Will Go On from the film soundtrack to James Cameron's classic Titanic. The birth came naturally in the end for Ms. Dion after a labor of love spanning the past several years. "We conquered the odds," said husband Rene. "Everyone told us we would never have a song of our own. It's aboot [sic] time we showed them what we can do. I can't wait to watch our song grow up and mature on the Billboard Hot 100." Much pressure is already being placed on the new song by father Rene. "We woon't [sic] settle for anything less than 10 weeks at number one, with a bullet." Her acting career put on hold, and her social life almost non-existent, Ms. Dion and her husband have dedicated every spare minute of the past three years to the creation of the song and are proud of their achievement. "I couldn't have done this withoot [sic] Rene," gushes the glowing songstress. "He had some problems at first, but in the end he came through." Ms. Dion is referring to Rene's habit of deferring to older more experienced song-writers with more powerful credentials. "None of that matters now," says Ms. Dion. "We finally have our little song." Ms. Dion and Rene have not settled on a title for the song, as the target audience is yet to be determined. Downtown() The street that falls between 20th and 22nd on Birmingham's simple and elegant grid layout has been renamed 21st Street in honor of its position. Area residents have hailed the move as a hopeful sign of more common sense government to come. Michelle Phillips, a Southtrust Bank employee, said she noticed the street naming discrepancy on her way to work the other morning. 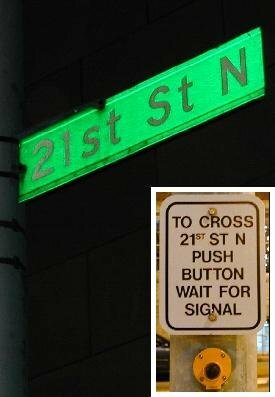 "I wondered why it wasn't 21st Street. Falling between 20th and 22nd it just makes sense. Why didn't they name it correctly in the first place? And who is this Arrington Jr. guy?" The answer to that question is lost in antiquity, but it seems unlikely that a dead guy would complain about a little logical renaming. And strangely enough the City Works Department actually found a bunch of 21st Street signs in the back of Warehouse #12. Therefore the city does not have to wait for new ones and has already begun replacing signs at the least busy intersections. The official redesignation will take effect on February 19 which is a postal holiday. "We are encouraging businesses to go ahead and reflect the change on their letterhead and company literature," said Birmingham Mayor Bernard Kincaid. "It may be somewhat confusing at first, but in the end we feel this street designation is more inclusive of the overall city plan than the previous name." Former Atlanta resident Sean Pertwee agrees. "When I moved here last year, the one thing I noticed that was better than Hotlanta was the street layout. Addresses actually mean something. Not like Peachtree Road, Peachtree Street, Peachtree Avenue, Peachtree Battle, Peachtree Industrial," he continued to drone. Although some inconveniences are inevitable, even map makers seem to welcome the change. Carto-Craft spokesman Bill Guthrie says that their maps have had 21st Street on them for twenty years or so. "We just found it easier to put 21st Street than Richard Arrington Junior Boulevard North. It is right between 20th and 22nd streets so most people just figured it out." It is hoped that this new designation will make it easier for out-of-towners to find popular venues like the BJCC and Birmingham Museum of art. "We have a lot of suburbanites coming in at night for concerts at the Convention Complex," explains Birmingham Police Chief Mike Coppage. "The last thing we want is them driving around lost in downtown Birmingham after dark, but it happens. Maybe this new street name will help." Mayor Kincaid seems hopeful as well. "People criticize us for never doing anything to revitalize downtown. Things have basically been the same around here for twenty years. Well things are going to change now, and this is just a start." Forest Park() Local real estate agents were befuddled by a new listing for a Forest Park home in the latest edition of the Multiple Listing Service book. 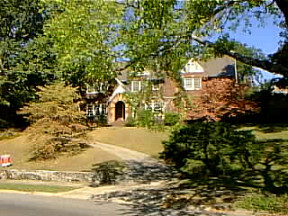 According to the MLS listing, a home for sale on Essex Drive comes complete with HISPINT. Some agents have been telling potential home buyers that this means 'Hispanic interpreter.' But Forest Park - South Avondale Neighborhood Association president Jay McKinney has assured everyone in the community that this is not the case. "According to the home owner, the abbreviation stands for high speed internet access. We want to assure everyone that we are not a Hispanic community. English is welcome and some would say preferred here. You won't need an interpreter if you move to our neighborhood." Besides the fast internet connection, the home also boasts 5BR, 4.5BA, FB, and HW FL THR. But this brief MLS description cannot begin to describe the bounty of features found in the 1920's charmer. "This home has every feature that you can think of and then some," says real estate mogul David Emory. "It has ten foot ceilings, a dumb waiter, and even a lazy susan in the kitchen! I sure wish it was my listing." A quick check of MLS entries revealed no other homes with HISPINT, although a few homes in the Fultondale and Center Point areas did come equipped with HISPINTERP. RealtySouth (formerly JRH) agent Jill Forseman reveals that few of their listings outside the Mountain Brook area typically have such amenities as the home on Essex Drive. The home is apparently scheduled to be 'open' this Sunday for all those interested in finding out more. There will be an agent on hand to pre-qualify potential buyers.